I've got a romantic-comedy novella on the eBook shelves for the holidays! Her Very Merry Mistake marks my return to writing original romantic comedies. The novella turned out so well that I’m still smiling. Lenora Patterson, the heroine of the book, isn’t quite as happy. Lenora can’t seem to convince anybody that the most maddening man she’s ever met is not the love of her life, including the maddening man himself. 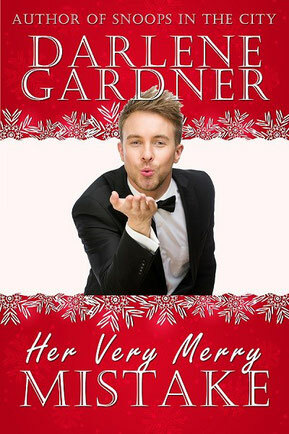 Her Very Merry Mistake is just 99 cents wherever eBooks are sold. Another reason I love the book is that my talented daughter, who’s a scientist in her day job, designed the cover. I hope the whole package puts you in a festive mood. There’s no better time than the holidays to fall in love with love. Can't wait to read this! I love the cover. Super ! Thanks, Mattie! Hope you enjoy it. Happy holidays.